I have been on a neon kick lately. For some reason any time I see something neon I have to buy it! 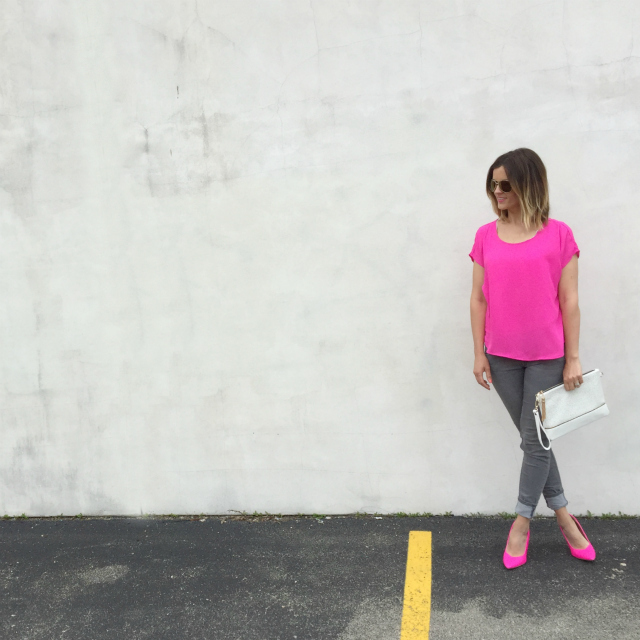 I bought these pink heels at the mall a few weeks ago and also just received this shirt from Lulu's. Neon is the perfect addition to a summer wardrobe because it adds a bright pop to any outfit. This shirt is so lightweight it's great for warmer weather.